The Superfine Series includes feature-rich models providing performance that meets or exceeds that of much larger production models. 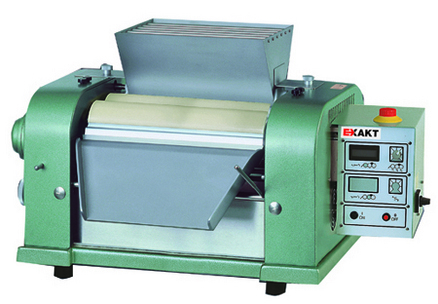 The unique tensioning system minimizes the free play in the roller ball bearings ensuring a more constant gap and ultimately a finer, more uniform particle size in the product. And the gap is easily set with a single hand wheel for parallel roller adjustment to 3-5 microns at its closest setting. With the introduction of ceramic-based rollers, metal contamination of the product during processing has been dramatically reduced. With the ensuing introduction of ceramic scraper blades, metal contamination can be eliminated. Scraper blades are available in plastic, surface treated steel, aluminum oxide, and zirconium oxide. Frequency Inverter for Speed Control – For optimum performance, the variable speed control of the frequency inverter provides better control and the best results. 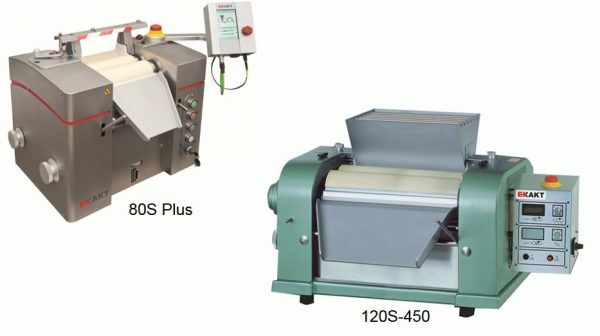 By maintaining a constant speed ratio between the rollers and thus constant friction, the Superfine models are ideal for processing viscous or thermally sensitive products. Heating & Cooling System for the Rollers – All Superfine models can be equipped with an internal circulation system for heating or cooling the rollers. EXAKT also provides a heating/cooling device if a chilled or hot water source is not available. Solvent Dispensers – The product dispensers deliver additional liquid or solvent to the area most likely to become dry, resulting in a smoother flow of product and ease in cleaning. 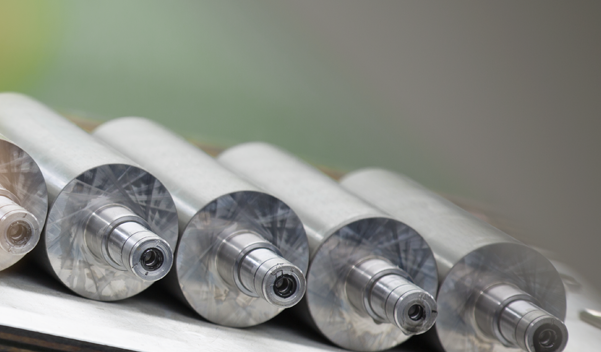 For optimum results, we offer a range of roller materials for your three roll mill. Our experts can help you chose which material is best for your application. We also provide scraper knives in a range of materials suitable for the application and roller material used.